AlphaBetty Saga: A New Favorite Game for Word Lovers! This is a sponsored post written by me on behalf of King Digital Entertainment. All opinions are 100% mine. 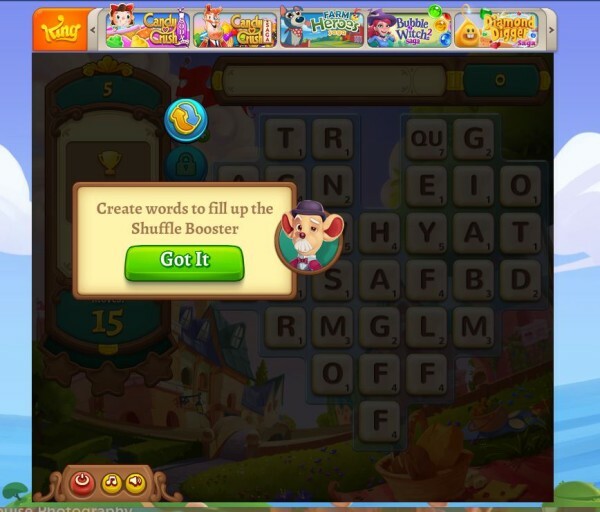 As a writer, playing word games is one of my favorite ways to relax. I figure as long as I’m working on my vocabulary skills, my gaming time is actually beneficial! I’m super excited about AlphaBetty Saga. 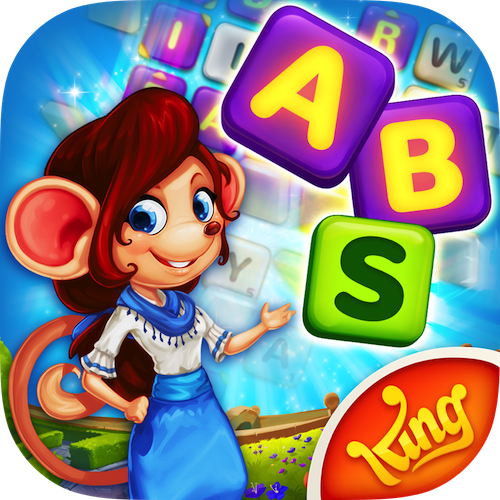 It’s the first word-based Saga game from King Digital, the same people who brought you the incredibly addictive games like Candy Crush and Farm Heroes Saga. I think everyone has played at least one of those games by now, right? Candy Crush was actually the first game I downloaded when I got my smart phone! AlphaBetty Saga is free to download. I grabbed it on Facebook first, because I was sitting at my computer when I decided to try it out. I’ll definitely be downloading it on my phone too! Probably on my iPad and my Android tablet as well! It’s THAT good! It’s available in the App Store, on Google Play and of course, on Facebook, so you can pretty much take it anywhere. The game is super easy to pick up right away. If you’re familiar with Candy Crush and Farm Heroes Saga, the way the AlphaBetty tutorial runs is similar. You get the info you need when you need it. When you get to a level that has a new power-up, you’ll learn about it then. I’ve always appreciated this approach because I don’t have to remember a whole bunch of rules before I need them or wait to dive into a game while I watch a long tutorial. The first few levels are incredibly easy. I breezed right through them, super proud of myself for finding 7-letter words at least four times. As much as I love word games, I do often have a hard time seeing the forest because of all the trees in the way, in a manner of speaking. Basically, I see all the small words and miss the big ones. I think that’s because a lot of word games use the same exact layout in every single level. My brain gets lazy. With the constantly changing layout from level to level in AlphaBetty Saga, my brain doesn’t get so lax and picks up on the longer words. Once you get used to the basic game play, the fun really begins. As much as I love word games, doing the same thing over and over gets a little boring. I love that AlphaBetty Saga adds fun challenges to the mix. At level 6, you’ll have to spell words to drop cheese to the bottom. Now you have an actual goal, so you can’t just spell itty bitty words all willy-nilly. I also like that, so far, I don’t have a time limit. Time limits make me nervous. You do have a move limit, but that’s fine, because you can take your time to find really good words. I haven’t gotten much further than level 6 yet because I needed to work, and honestly, I will end up playing all night if I don’t stop myself right now. In fact, as soon as I finish writing this, I’m going back to playing. King Digital has once again hooked me in with a fun game. This time, though, they’ve made it an educational game as well! Speaking of educational, did you know that King recently released a cool survey to help you avoid spelling errors during your summer travel? They rounded up a list of the US cities that are most difficult to spell. Playing AlphaBetty Saga won’t just help you better learn to spell these complicated city names, it’ll enhance your vocabulary and overall spelling skills as well. I’ve learned words I never knew existed by playing word games and experimenting, then later looking up the words that I discovered were real. Download AlphaBetty Saga for free now from the App Store, Google Play or on Facebook. Check out AlphaBetty Saga Facebook Page and Follow the Betty on Twitter. What words are your biggest challenge? I have to keep spell check handy for “beginning,” “tomorrow” and other words with double consonants. Tell me your challenges in the comments! I saw this game on a TV commercial one day recently so I downloaded it, it was a very fun game and I got far into it, but then it kept freezing up, so I deleted it and put it back on my phone only to start over again, same thing happened again, so I just deleted it for good. This looks like a really fun game! Another game to get me hooked, haha! Oh my this is one of my favorites. Don’t have a lot of time to play but it si great for down time, how far have you gotten? With the push to get more technology in the classroom, this game would be perfect to engage children. It’s seems fun, it’s vibrant, and definitely provides a learning experience. Vocabulary is an area in education that many kids struggle. Thanks for sharing this. I will be sharing this with my teacher friends. I love word games too! This looks like a lot of fun. I’d like to try it out. I love finding new games to play on my phone. This looks like it would be fun to play, I normally am playing in the car on road trips or waiting for flights. I love that it makes you use your mind to think of your next move with words. I love playing word games, too. It’s relaxing and definitely the best way to kill time when waiting in line. This is the first tine I heard about the Alphabetty Saga and it looks like a fun and exciting game. I will download it. Just what I need another addictive game 😛 But seriously this looks very cool for both adults and children alike! Thanks so much for sharing, I am going to have to go check this game out! Awesome. I need more games to play! LOL This looks like my son will love it and we could play together. I’m definitely going to check it out! 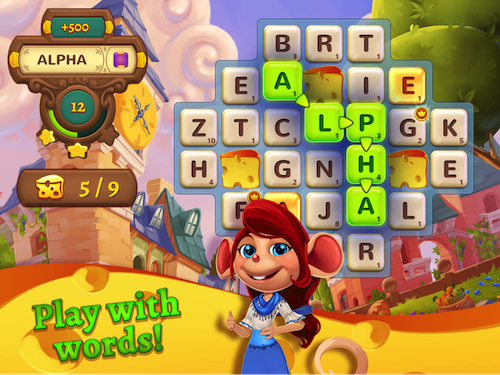 AlphaBetty Saga looks like a great a Game for Word Lovers and perfect for summer relaxation! I am always look for games to play by the pool or on a rainy day too! Thanks! I love spelling games. It’s crazy how much we rely on spell check and auto correct to help us with our spelling. I usually play games like these when I’m traveling. I am not usually one for games – other than the board games on family night – but this one looks like lots of fun. I enjoy scrabble and word searches already, so playing this game looks like a natural progression. I will definitely check this one out tonight!